The professional development programs of the Faculty of Education, namely additional qualifications (AQ) and additional basic qualifications (ABQ), aim to provide courses of the highest professional quality. Each additional qualifications course reflects the Ontario College of Teachers' Standards of Practice for the teaching profession. Our programs meet the requirements of regulation 176/10 and each level requires 125 hours of course work. The Faculty recommends to OCT candidates who have successfully completed the different additional qualification programs. 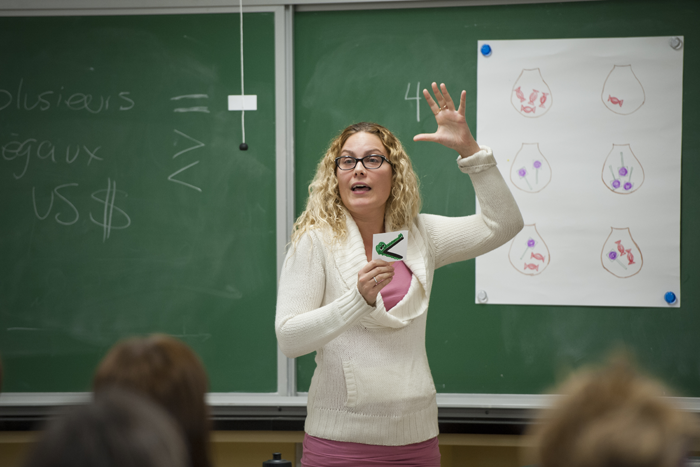 Additional qualification courses provide teachers with opportunities to enhance their teaching skills using current, research-based instructional and assessment strategies. Teachers develop their abilities to teach an increasingly diverse range of learners and, with qualifications to teach in additional divisions/subject areas, their career choices are broadened. 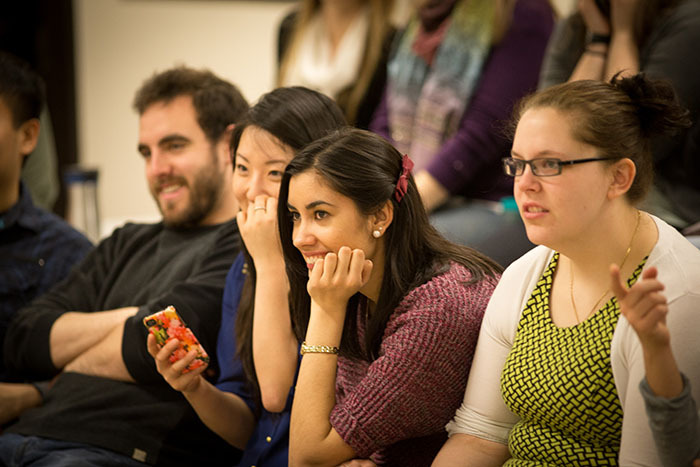 Couldn't attend our additionalqualifications (AQ) program's information session ? View the presentation's slideshow. You'll have an overview of the concentration, and several other key topics. Learn more about the AQ/ABQ courses. This training will consist of five (5) non-credit courses of 39 hours each. Students will receive a certificate attesting to their successful completion at the end of each course. LSQ courses (LSQ I, II, III, IV, and V) are intended to support those who teach hearing impaired children. They are designed as second-language courses and aim to teach the basics of LSQ to hearing persons. These courses are divided into two components: LSQ as a language and the culture of the deaf community. Language training focuses on acquiring vocabulary and a functional understanding of LSQ grammar. These LSQ courses use a thematic approach. For example, in LSQ I, students will learn how to describe themselves, others, their family, food, sports, work, and hobbies. They will learn how to ask for, and give, directions and information, and how to describe people and express their tastes. As is the case with any form of second-language training, class time is insufficient to cover the thousands of regular words used in everyday life. Therefore, it is expected that, as students progress, they will enrich their vocabulary and improve their ability to apply the language concepts covered in class by increasing their contacts with members of the deaf community. Finally, please note that LSQ I is a pre-requisite to register for QA Enseignement aux élèves ayant une surdité-cécité and that LSQ I, II and III are pre-requisites for QA Enseignement aux élèves sourds ou malentendants. For more information, please contact the Academic Secretariat at 613-562-5804 or the Coordinator, Professional Development Programs at 613-562-5800, ext. 4095. Learn more about the LSQ course.